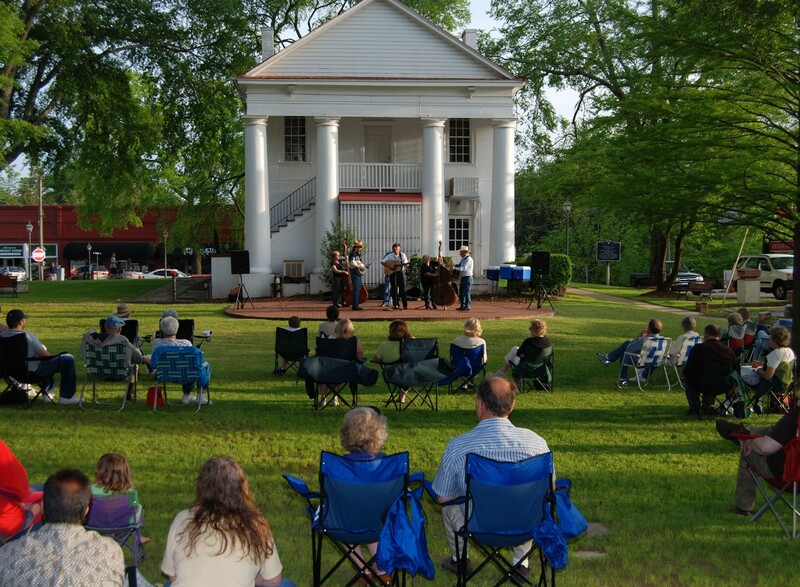 Spring Jubilee 2015 on the Village Green in historic Pendleton SC April 4 and 5, 2015. Just as the dogwoods begin to show their buds, the small historic town of Pendleton, SC begins to get busy preparing for Spring Jubilee. It is as if the town has awakened from a long winter’s nap.The Village Green is manicured and fertilized to assure its pretty green color. The Pendleton Garden Club works hard preparing the Masonic Court Yard. The Pendleton High School FFA joins the Garden Club to replant the planters around the square with new spring flowers. The merchants are busy washing their windows and decorating them. Everyone has one thing on their mind and that is to get our beautiful town ready for the largest event of the year: Spring Jubilee! The Town Wide Clean Up Day sponsored by Pendleton Pride In Motion is scheduled for the end of March and volunteers are asked to meet on the Village Green at 8:30 am to get their assignments for the morning. Spring Jubilee 2013 was a huge success with gorgeous weather, a great crowd, very talented Artisans, fantastic entertainment and delicious food. We appreciate everyone who participated in this event. Mark your calendar for April 4 and 5, 2015. Note: The 38th Annual Historic Pendleton Spring Jubilee will be accepting applications for artists and artisans, entertainment, food vendors and non-profit spaces. Visit the website for details and applications: Pendleton District Commission Spring Jubilee Website. Information on this page will be updated as it is provided. The deadline is December 3, 2014 for applications.